In the age of political correctness, many images and words have been removed from the popular nomenclature. Debates continue over which items are offensive, which tiptoe on the border, and which are "acceptable". 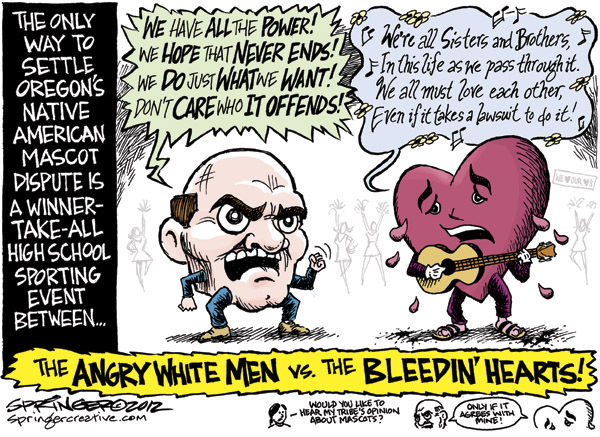 One such argument concerns the use of Native Americans (a.k.a. 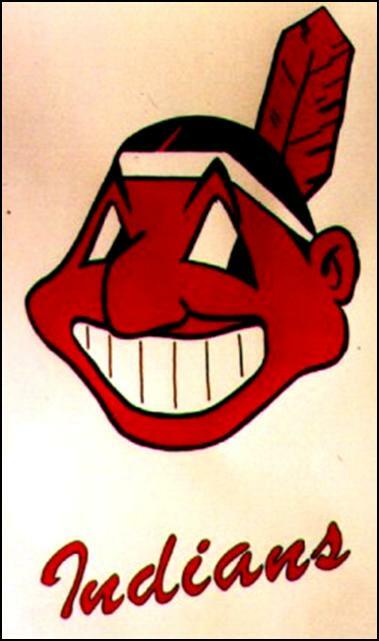 "Indians") as team names and mascots throughout the landscape of amateur, collegiate, and professional sports. Despite immense diversity in the size, geographic location, history, and educational specialties of the various colleges in America, most share one strikingly common feature: Eight of the 10 most common nicknames for college sports teams are beasts of prey. 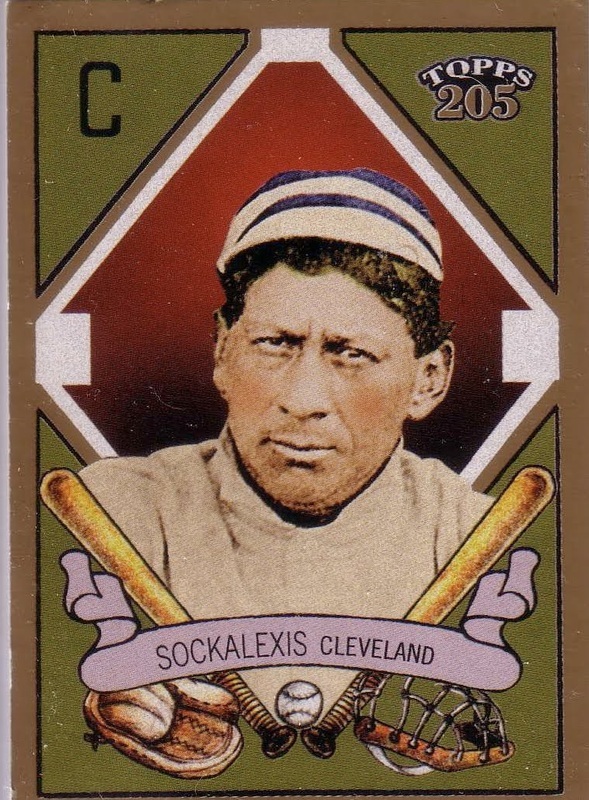 College teams named after Indians are actually underrepresented in the list. 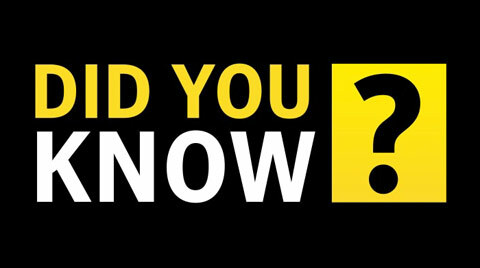 Excluded from the overall count of "Warriors" (because it could also refer to Greco-Roman Warriors) and "Indians" are all the American college teams named for individual Tribal groups, including Apaches, Aztecs, Chippewas, Fightin' Sioux, Pequots, Seminoles, and Fightin' Illini. 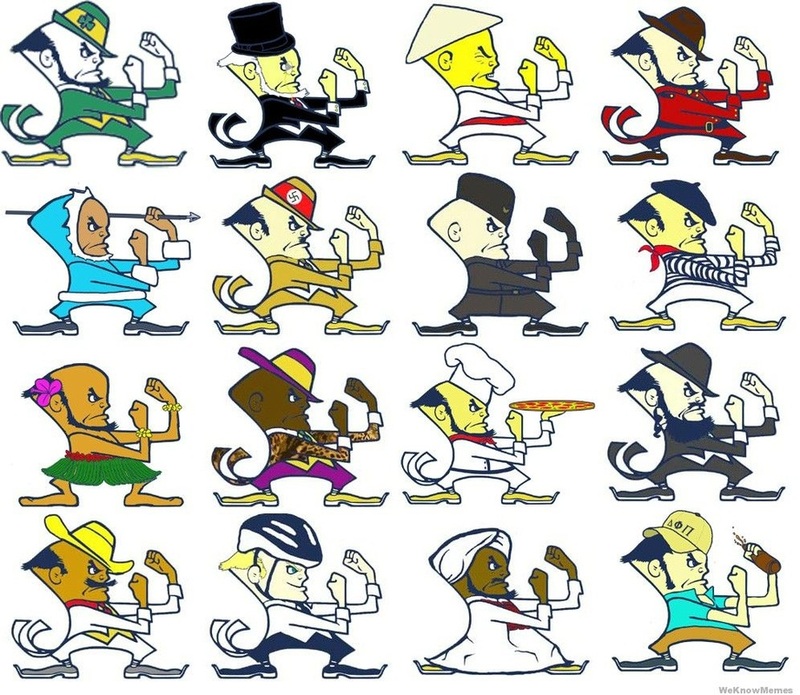 In addition, numerous college teams sport nicknames of generic Indian themes, among them the Chiefs, Chieftains, Braves, Redskins, Redmen, Blackhawks, Tomahawks, and Savages. If all the college teams with nicknames associated with American Indians were combined, their number would exceed that of its nearest rival by a considerable margin. Why are so many college sports teams named after Indians? When challenged by critics that such names are racist and offensive, a common response is that the names were intended to honor American Indians. 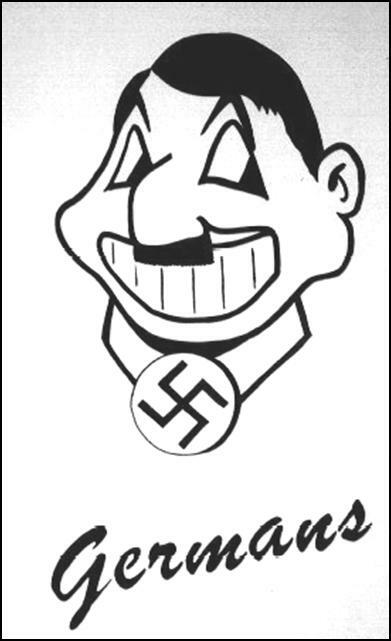 Supporters of Chief Illiniwek, mascot of the University of Illinois' Fightin' Illini, are quick to raise this flag of "honor" in defense of their moniker. 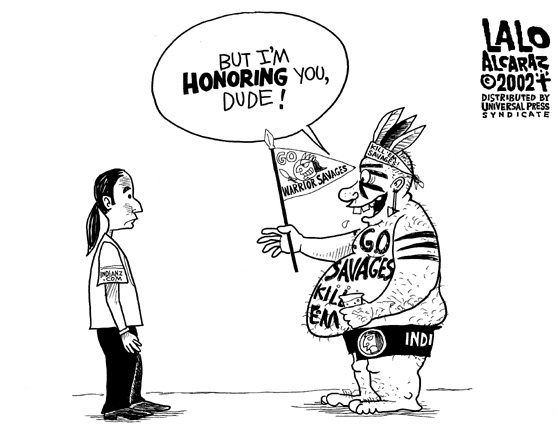 (Ironically, the 5 Illini Tribes were expelled from the geographical terrain that now encompasses the state of Illinois...) When Indians insist that "honor" is in the eye of the beholder, and that such nicknames are insulting, supporters retreat behind the nebulous camouflage of "tradition". 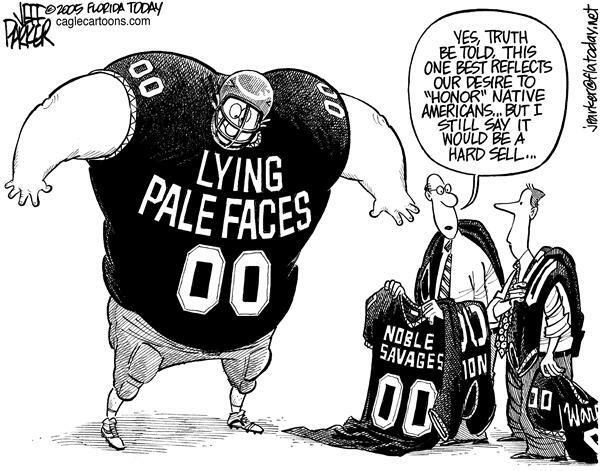 Still, professional sport team names like the Washington Redskins and the Chicago Blackhawks (to say nothing of Chief Wahoo, the Cleveland Indians' logo, and the "tomahawk chop" of Atlanta Braves' fans) have been branded as "harmful stereotypes" and "racist images" that "provide an underpinning for discrimination against American Indian people". 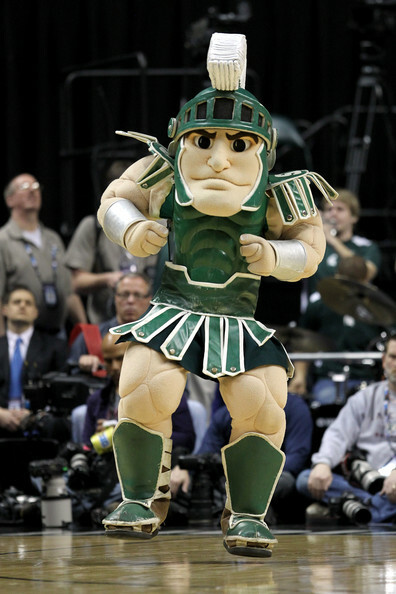 The option... throw out the mascot and usher in a new, more "P.C." one. Such was the case when Miami of Ohio was forced to change their team name from the "Redskins" to the "Redhawks". 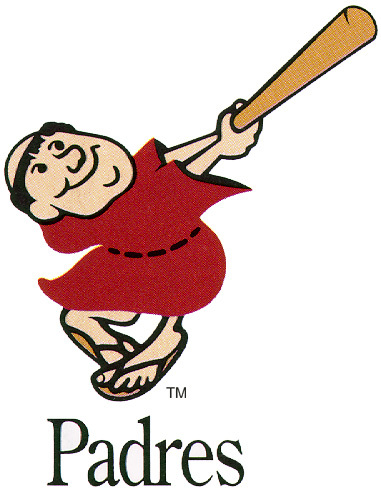 But, is Chief Wahoo as racist of an icon as the Boston Celtics' potbellied Irishman, the San Diego Padres' roly-poly, bat-swinging monk, Notre Dame's Fightin' Irish, or Michigan State's roid-rage Spartan? Miami University (of Ohio) was known as the Redskins from 1809-1996. 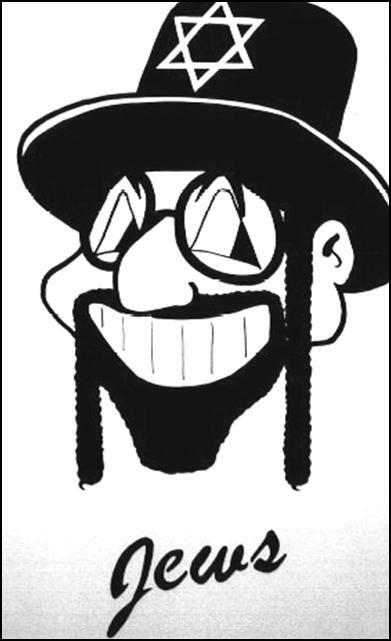 They used this logo from 1979-1996. 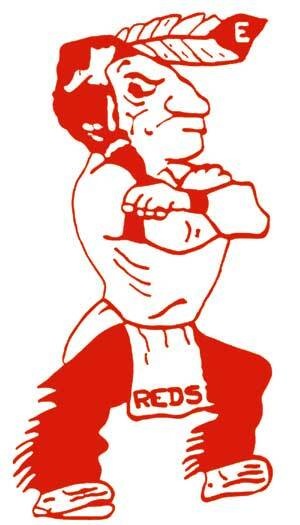 In 1997, they changed their name to the Redhawks and adopted this new logo. 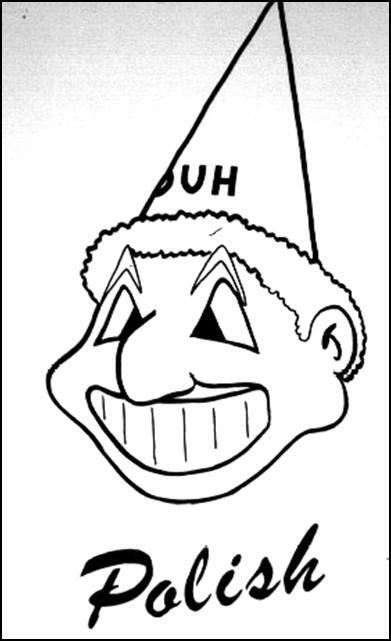 To drive home his point that the use of Indians as mascots is offensive, Oscar Arredondo, an Aztec Native American, drew other cultures and religions in the same fashion as Cleveland's Chief Wahoo. What do you think? Does he make his point? 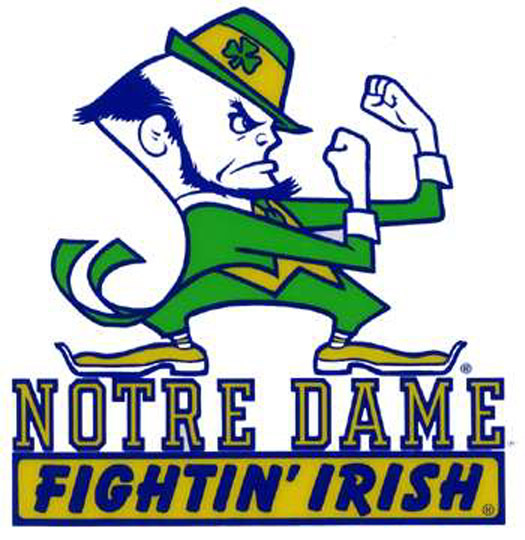 In a similar fashion as the Chief Wahoo makeover, so, too, have other artists re-imagined Notre Dame's Leprechaun in other ethnic varities. 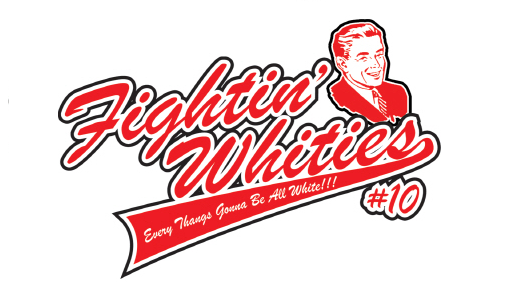 The Fighting Whites (also called Fightin' Whites, Fighting Whities, or Fightin' Whities) were an intramural basketball team that formed at the University of Northern Colorado in 2002. 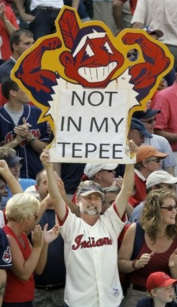 The team attracted a storm of national attention because of its satirical protest about stereotypes of Native Americans being used as sports mascots. 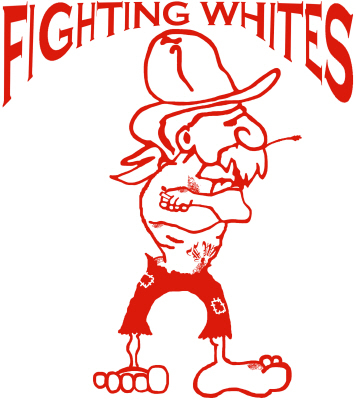 The team, which included players of Native American, white, and Latino ancestry, adopted the name "Fighting Whites", with two logos. 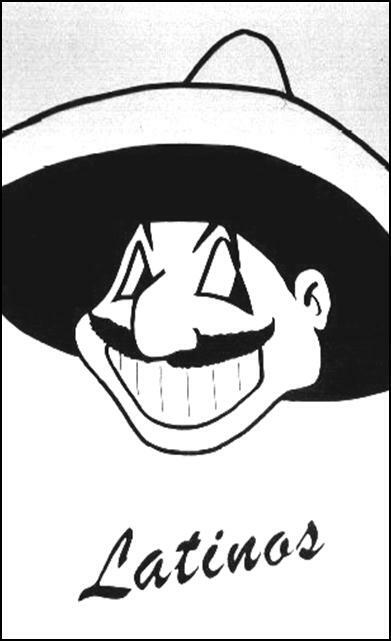 One was designed to mock like the racist logo of a local Colorado high school (the Eaton High School Fighting Reds) by using a redneck farmer instead. 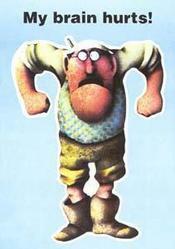 The other was of a stereotypical "white man" in a suit and styled after advertising art of the 1950s. The plan to insult whites in the same way the minority students were meant to perceive Native Americans being insulted backfired on the group when the team's popularity skyrocketed. In response to customer demand, the team eventually began selling shirts under both names. The team sold enough shirts that they were eventually able to endow a sizeable scholarship fund for Native American students at Northern Colorado. In 2003, the team donated $100,000 to the University of Northern Colorado's UNC Foundation, which included $79,000 designated for the "Fightin' Whites Minority Scholarship"
have changed its named to "Indians" in 1915 if "Indians" were an insult. Indian who played with the Tribe in 1897-1899. Of course, media guides today debate all of this. Whatever the origin of their current name, they are still tough to watch. 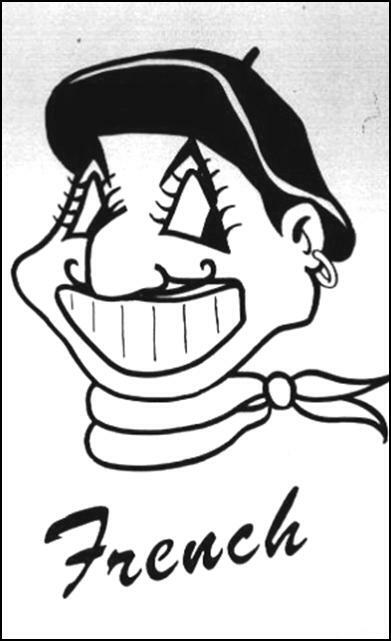 This logo was used by MLB's Cleveland Indians from 1946-1950... and it's terrifying. 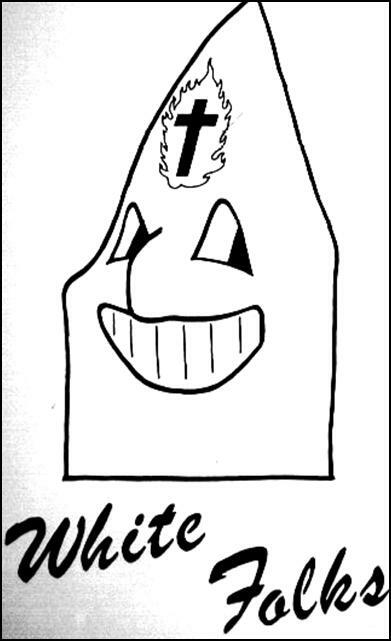 This is the infamous "Chief Wahoo" logo of the Cleveland Indians that's been used since 1951. MLB's Atlanta Braves used this logo on and off from 1912 when the team was in Boston up until it moved to Milwaukee in 1953. This is Chief Nocahoma of the Atlanta Braves. (Get it? Nock-A-Homer.) It was used from 1972-1989. 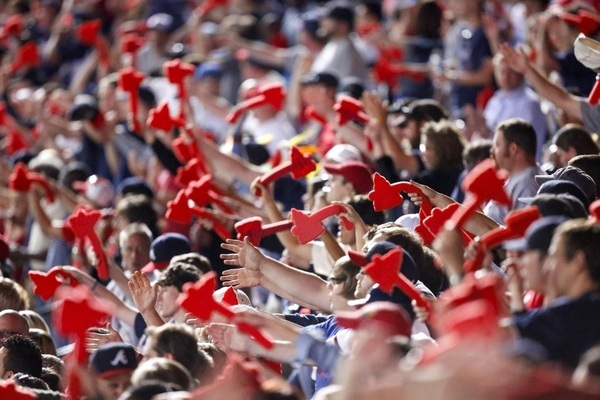 This has been the logo of the Atlanta Braves since 1990. 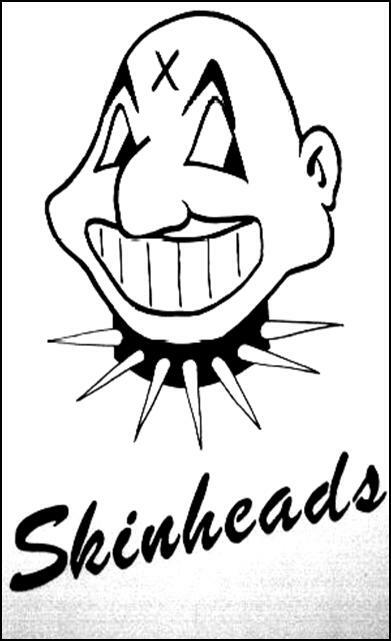 Ahhh, geez... this logo was used by the Washington Redskins of the NFL from 1960-1965. Moving away from the blatant racism of its team name, the "Spear" logo was used by the Washington Redskins from 1965-1969. 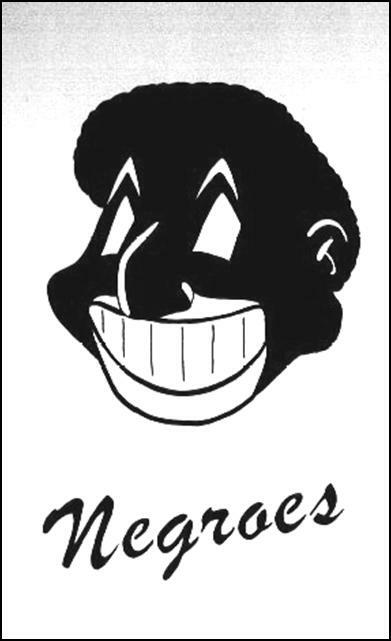 Apparently the Washington Redskins decided to embrace their racism openly when they switched to their present-day logo in 1972. The Kansas City Chiefs switched to this in 1972 and have kept it since. The NHL's Chicago Blackhawks have used a variation of this logo since the team was born in 1926. 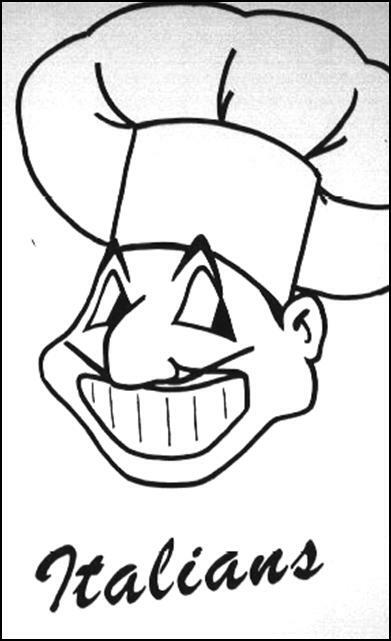 When the Chicago Blackhawks aren't feeling super racist, they pepper in this logo from time-to-time... and have done so since 1964. The University of North Dakota... the Fighting Sioux... riiiiiight... has been rocking this particular logo since 1987. After all, isn't this what higher education is all about? But, when it comes to being the "King of Controversy" in the NCAA, the University of Illinois and its Fightin' Illini takes the cake. 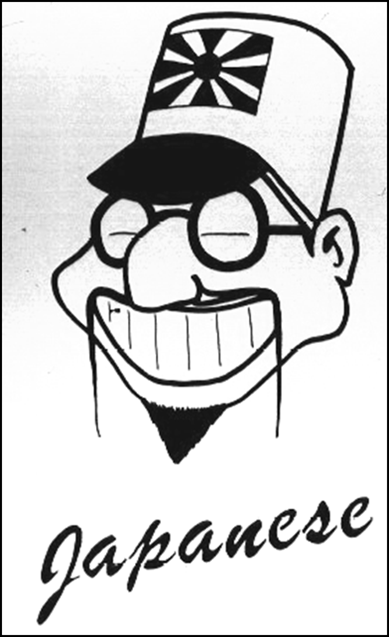 This particular logo was used from 1947-1956. 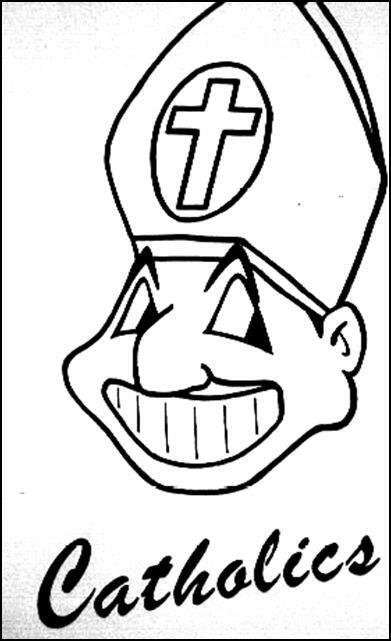 This logo, known as Chief Illiniwek (or simply "The Chief", was used by Illinois from 1989-2003. 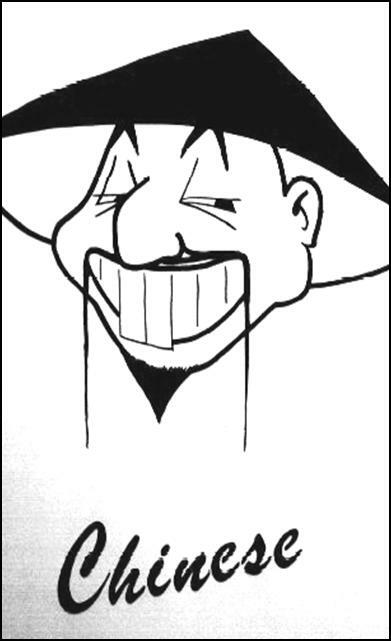 Illinois came to its sense in 2004, dumped "The Chief", and began using this new logo. C'mom San Diego State University... just because you pattern your school logo after an actual Aztec symbol doesn't make you any less racist. In fact, it makes you dumb. This was used from 1924-1978. 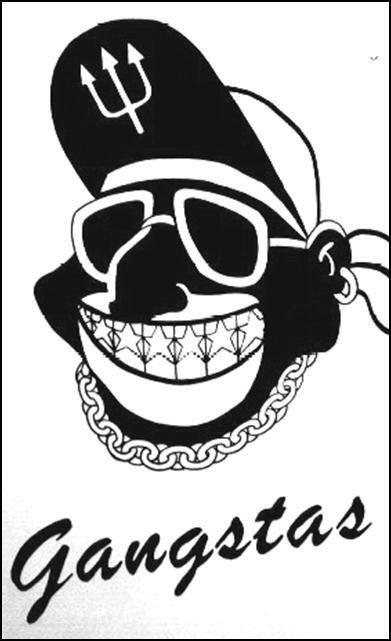 From 1978-1996, San Diego State used this "update" as their school logo. San Diego State switched to this logo from 1997-2001. 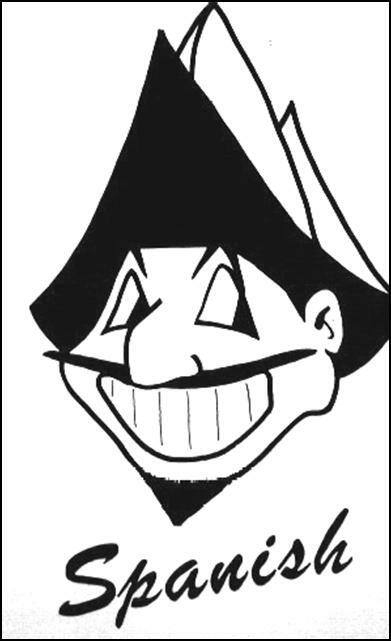 Deciding to scale back, San Diego State began using this logo in 2002. 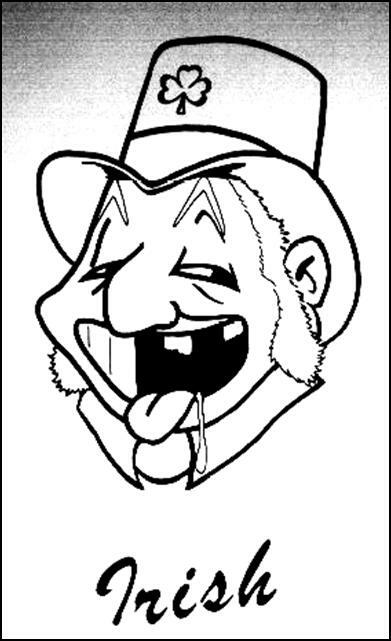 Don't worry, Florida State, we didn't forget about you and your Seminoles logo, which you have been using since 1976. Similar to what the Washington Redskins tried to pull off for awhile, the "Spear" logo has become a staple of FSU athletics, seen on the teams football helmets since 1976.
whose nickname does NOT end in the letter "S". Can you name them?